Your adventure begins the moment we pick you up from your hotel or cruise ship. 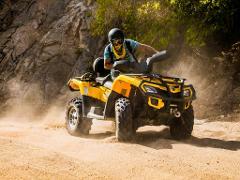 We will then take you to G-Force Adventures Park where you can visit our rare White Lions and pick your top of the line ATV. 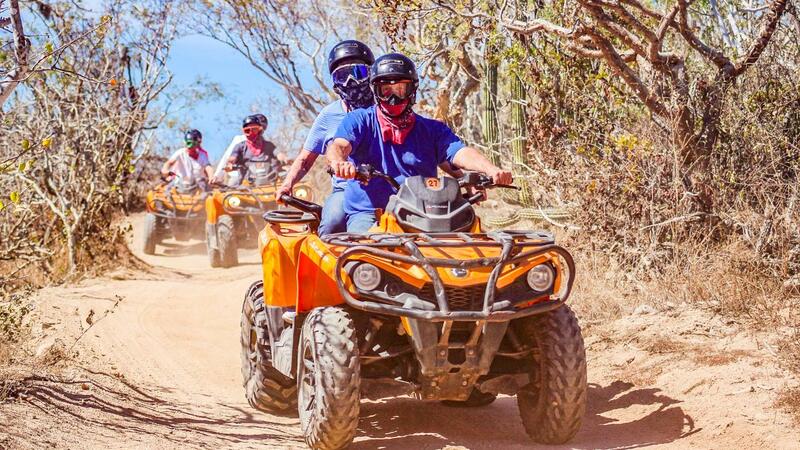 After picking your luxury ATV and listening to your safety briefing, you'll climb onto your ATV for your guided trip into the mountains to visit this isolated historic locale. We’ll first explore El Salto, a small waterfall that runs most of the year towards Los Pozos (the wells) where a small, well-preserved church still stands after 100 years, and still serves the local people. The next destination will be the town of La Candelaria, which is an antique 200-year-old Indian village, which preserves its entire natural environment, conformed by the village, the desert, and Migriño beach. This little town is located in the municipality of Los Cabos in the Mexican State of Baja California Sur. The total current population of La Candelaria is 128 people. In La Candelaria, you'll see the church, orchards, and species of animals indigenous to the region such as iguanas, doves, and hares. The people of La Candelaria are known for their long lifespans - most residents live well into their 90s!